AUSTRALIA'S Mark Webber and New Zealand's Brendon Hartley are in a strong position to bring antipodean glory to the Le Mans 24 Hours on June 13 and 14. The pair are teamed with 2010 Le Mans winner Timo Bernhard in one of three 919 Hybrid LMP1 racers fielded by Porsche for the 2015 endurance race, and finished top of the time sheets in last weekend's official test day. 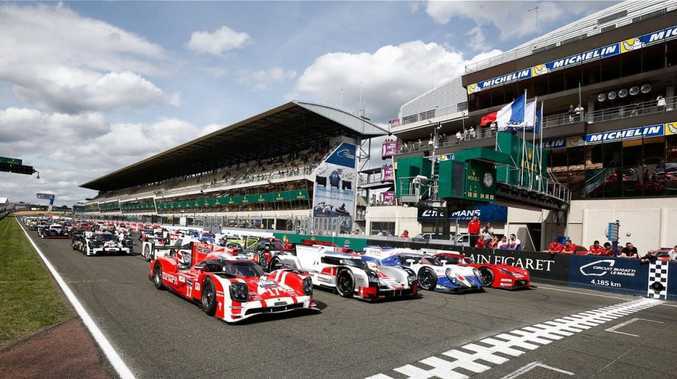 Kiwi Hartley, 25, was quickest of all at the French La Sarthe circuit, eclipsing last year's pole position time by nearly a second and well ahead of the two other Porsche entries and their Audi and Toyota rivals. 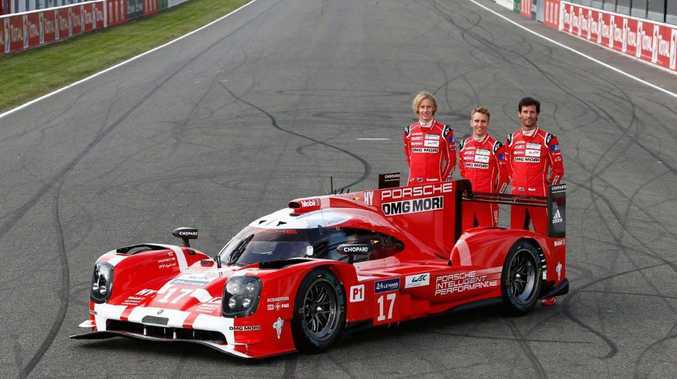 Brendon Hartley, Timo Bernhard and Mark Webber are hoping to secure Le Mans glory with their Porsche 919 Hybrid LMP1 racer. Mark Webber had only limited track time as the circuit dried out, meaning he only managed 20th fastest out of the 190 drivers posting a time in testing. Webber is hoping to become the first Australian to taste Le Mans glory since David Brabham in 2009, while the last Kiwis to triumph were Bruce McLaren and Chris Amon in 1966 in their shared Ford GT40. The Australian former F1-star was happy to be in the fastest car, and said he had learned a lot on the eve of his second 24 Hour race at Le Mans. "It was a very busy test day and it is amazing how much we are still learning in what is our second appearance in Le Mans," Webber said. "We knew we would have some rain today, but still all three of us had time in the car when it was dry. Anyway for me it was very beneficial to drive in the rain as well, because I didn't have much experience with a wet track here." 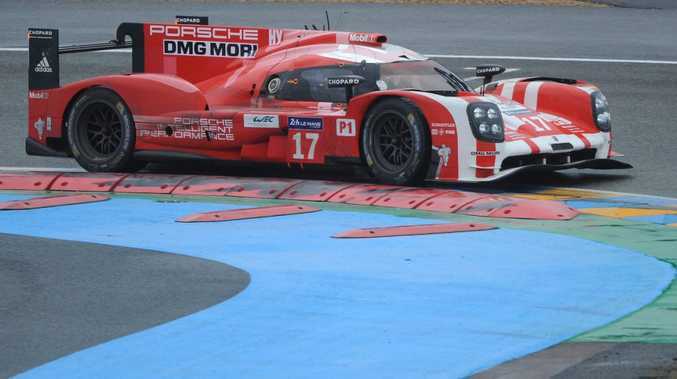 2015 will be the 82nd running of the Le Mans 24 Hours, with Porsche hoping for a record 17th outright victory. Porsche has failed to win either round of the 2015 World Endurance Championship so far - at Silverstone and Spa - but is hopeful its revised 919 Hybrid racer with over 1000bhp can see the marque score a record 17th win at Le Mans. Pre-race favourite is once again Audi with its trio of R18 e-tron quattros, while Toyota's TS040 Hybrid entries will also offer strong competition to the German cars. Should Webber win the 24-hour enduro he'll be only the fifth Australian to do so in the event's 92-year history, while Hartley would be the third New Zealander to grace the podium's top step. 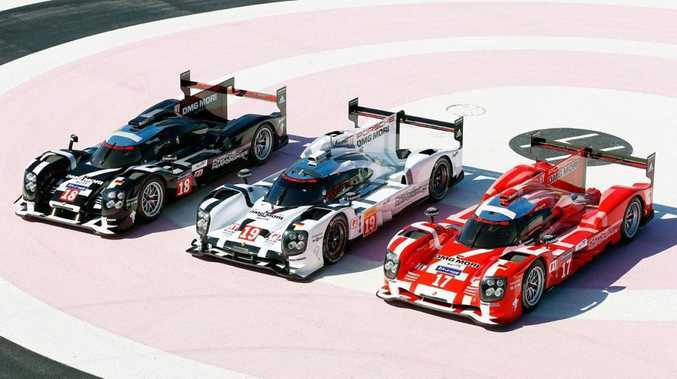 The three Porsche 919 Hybrids with over 1000bhp hoping to overcome the dominance of Audi in recent years.